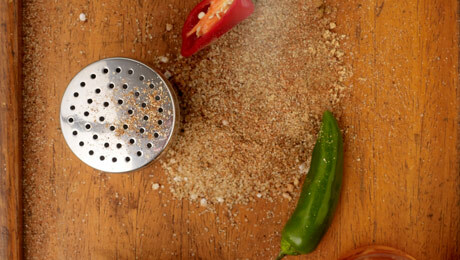 Liven up any barbecued meat with this hot and spicy rub, add some crushed fresh chillies for an extra kick. Place all the ingredients into a bowl and combine until thoroughly mixed. Spoon over steaks, lamb, pork and chicken prior to barbecuing for a lovely intense flavour of spice and heat.